World-Class Gastronomy Congress Set at Madrid Fusion Manila « Global-Link MP Events International Inc.
2015 was a great year for the Philippine culinary scene as one of the world’s most anticipated gastronomy events held its first and only Asian edition here in the country. This April, the Department of Tourism (DOT) aims to bring a more comprehensive MADRID FUSION MANILA (MFM) 2016 with 20 award-winning chefs from 10 different countries coming together at the MFM 2016 International Gastronomy Congress happening on April 7 to 9, 2016 at the SMX Convention Center Manila, SM Mall of Asia Complex in Pasay City. “This is the first and only Asian edition of Madrid Fusion, an event anticipated by thousands across the globe. The event is a melting pot of diverse cultures and traditions, showcasing the different flavors and tastes shown through the creations and rendition of world-class culinary masters To be hosting this event is a moment of pride not only for the Philippines but for the rest of Asia,” says Ramon Jimenez Jr., Secretary of the Philippine Department of Tourism. With the theme “The Manila Galleon: East meets West”, this year’s Madrid Fusion Manila is set to be a celebration of the diverse culture of the East and the West, the featured Michelin-star chefs will be coming from China, Indonesia, Japan, Korea, Mexico, Peru, Spain, and Thailand and will be joined by some of the most respected chefs in the Philippines. The lineup promises an exhilarating gastronomic conversation at the congress where these world-acclaimed chefs will impart their unique culinary philosophies and techniques and will discuss the latest advancements in avant-garde cuisine. “For Madrid Fusion Manila 2016, let us once more show the rest of the world that we are home of the world’s most passionate culinary talents honed by many years of traditional cooking who derive inspiration from the very people they serve,” he added. Aside from the gastronomy congress, Madrid Fusion Manila also has a Trade Exhibition and nationwide food festival through Flavors of the Philippines Festival. For congress inquiries, call 893-7973 or email congress@madridfusionmanila.com. For exhibit inquiries, call 929-7993 or email exhibition@madridfusionmanila.com. For Flavors of the Philippines inquiries, call 832-5401 or email flavorsofthephilippines1@gmail.com. “It is my pleasure to contribute to the development of Madrid Fusion Manila to the potentiation of the great traditional and modern Filipino cuisine. In the future, I’m confident that this event will continue to contribute to the advancement of Filipino cuisine in the international field,” Jose Carlos Capel, President of Madrid Fusion states in an interview. 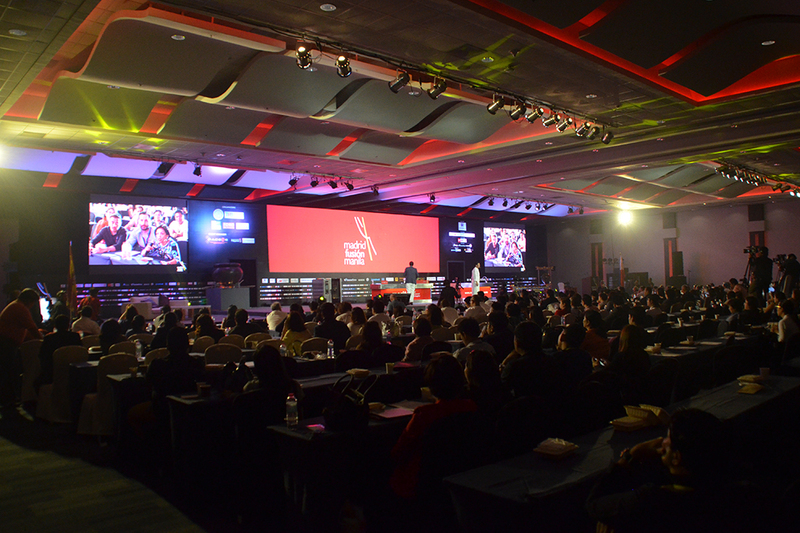 Last year, the three-day International Gastronomy Congress gathered a total of 1,381 delegates. While the three-day Trade Exhibition assembled 88 participating companies, represented 22 countries, and brought together a total of 4,106 buyers visiting the event.